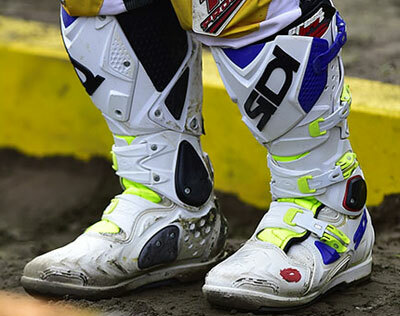 The Sidi Crossfire 2 is one of the most popular motocross boots ever made. It has been designed by the Italian manufacturer to meet the strict requirements of professional riders. 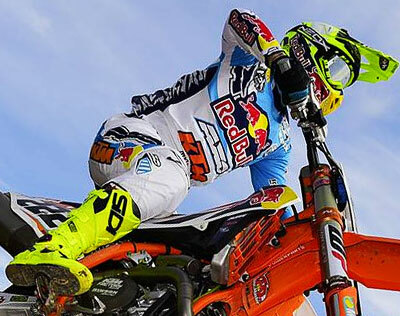 With this model Tony Cairoli has won several motocross world titles. Check out the current colors and editions below. The Sidi Crossfire 2 is packed with technical features that improve riding characteristics and comfort. 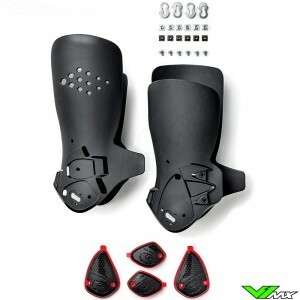 The most important parts of these motocross boots are explained below. 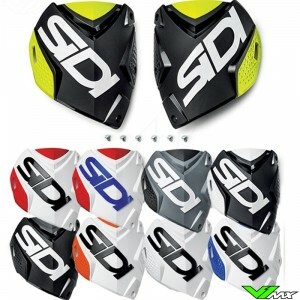 Sidi designed the Crossfire 2 without inner bootie. This makes the boots slim for minimal obstruction for the rider. In addition, it provides better ventilation and cooling properties to improve performance on a hot day. The Interior is equipped with 3mm thick technomicro and moisture-wicking material on many areas. 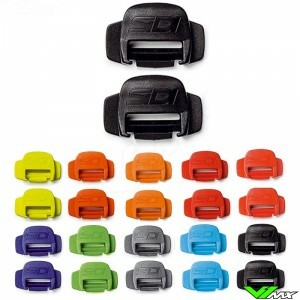 This greatly helps to improve the comfort and performance of the riders. These boots easily follow the movements of your feet and ankles, to make sure you don’t waste energy and can ride a long moto comfortably. 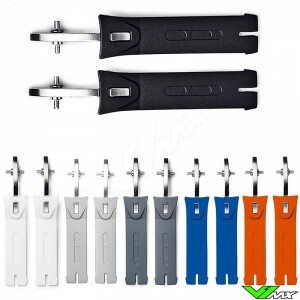 These boots are equipped with a double hinge system for maximum comfort and freedom of movement. The freedom of movement promotes control over the dirt bike, because the rider can adjust his body position more easily. In addition, you have more control over the rear brake and shift pedal. The first hinge point is located at the ankle. The main function is to follow the natural movements of the ankle and protect the rider against hyperextension. The second hinge point is under the calf. 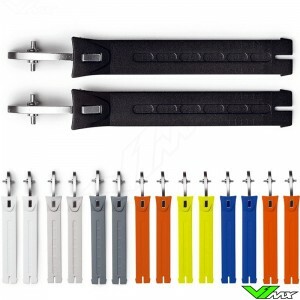 This provides personalized fit and freedom of movement. The Sidi Crossfire 2 offers amazing comfort thanks to many customizable parts. The upper pivot point ensures good attachment around the calf. They feel amazingly comfortable right out of the box. 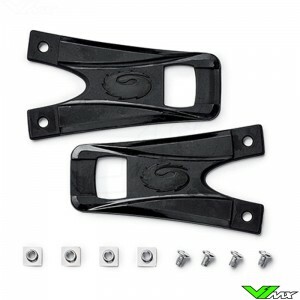 After prolonged riding, it is inevitable that the soles start to wear through the sharp footrests of your dirt bike. 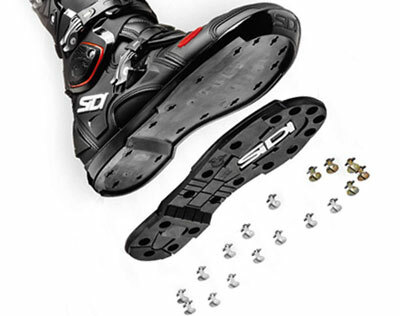 Sidi has developed a new system for worn soles, called SRS. SRS is an abbreviation for ‘Sole Replacement System’. 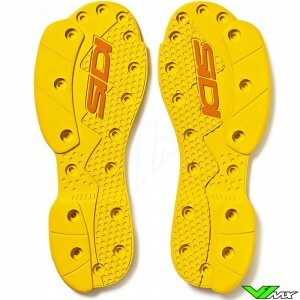 The SRS System offers the possibility to quickly and easily replace soles by loosening a few screws. 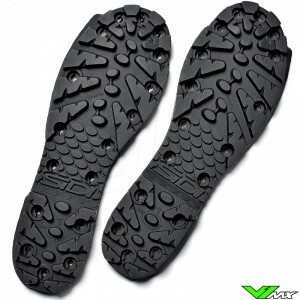 Replacement soles are available for both motocross and enduro use. 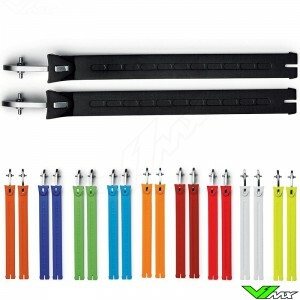 They are designed to function the best in the given discipline. 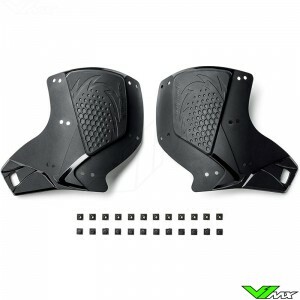 Please note, there are two versions of these advanced motocross boots available. The cheapest version has a traditional stitched outsole. The more expensive and advanced version has the SRS system. The Sole Replacement system is not equipped on the Crossfire 2 with a stitched sole. 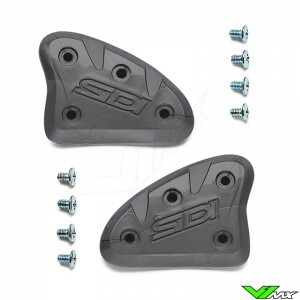 Sidi is known for a large amount of replaceable parts. 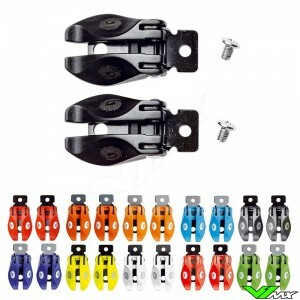 V1mx has almost all spare parts for the Sidi crossfire 2 available in the webshop. If you have any questions about the Sidi Crossfire 2 offroad boots you can always contact V1mx. You can easily reach us by E-mail of Whatsapp. We will answer your question as soon as possible. We use a 30 days return term, to make sure you have enough time to decide on your purchase. Within the period you can return or exchange the boots for a different size.